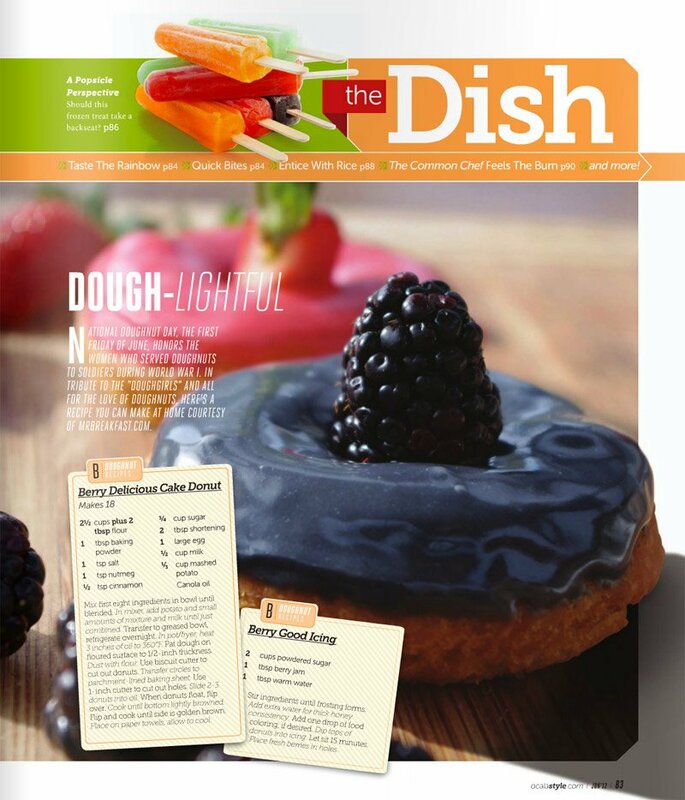 Earlier this year, I was pretty excited to have one of my donut recipes appear in a major magazine – Ocala Style. (Okay… so it’s not Time or Newsweek, but I understand it’s popular in parts of Florida.) I loved seeing the photo I took of a donut that had actually been in my mouth. 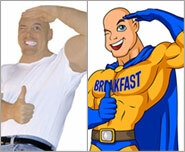 There was a little shout-out to MrBreakfast.com. It was awesome. Although, as Frank Sinatra might say, “Regrets… I had a few.” Because of space limitations, the recipe was shortened to its bare bones minimum. As printed, the recipe was correct and usable, but homemade donuts are tricky business. I’m not crazy, man. I just want to be thorough. When I started making donuts, I used little recipes like that and it always left me wanting more explanation. Here’s my chance to make things right. I’ve published the recipe on the website in a longer form. Professional donut makers know this trick. Mashed potatoes give your donuts a fluffier inside texture. You only need a little – about 1/3 cup potato to 2 and 1/2 cups flour. Make sure the potatoes are mashed completely. You don’t want chunks of potato in your donuts. Having the mashed potatoes at room temperature will also help you avoid small chunks. And yes… leftover mashed potatoes work fine. I’ve read recipes that ask you to use a paddle mixer on the combined dough for 5 minutes. This is usually a case of people mixing up their yeast donut recipes with their cake donut recipes. Cake donuts are basically a quick bread, like a muffin. They key to any quick bread is to immediately stop mixing once the ingredients are uniformly combined. When cutting out donuts, I always use biscuit cutters. I’ve tried several utensils marketed specifically for cutting donuts, but no matter the consistency of my dough, the newly cut donuts tend to get caught up in the cutter. Simple round cutters are the way to go. I use a 2 and 1/2 inch cutter for cutting donuts and a 1-inch cutter for making holes. 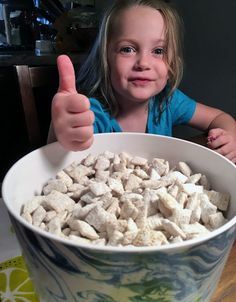 Have a small bowl of flour at your cutting station and dip the cutter into the flour after every couple cuts and you shouldn’t have a problem with dough sticking to the biscuit cutters. Donut shops have fantastic fryers that regulate heat incredibly well. But me and you, we have a thermometer and a sturdy pot, maybe a baby fryer if we’re lucky. I’ve found 360 degrees to be the ideal temperature for frying donuts. The problem is that maintaining that temperature while frying is impossible. The oil cools as dough is added to it. You can expect your oil temperature to drop 30 odd degrees during every batch. Always wait for your oil to approach 360 degrees before making the next batch. I use the word “approach” because the goal is to add the donuts right at the 360 degree mark. I’ll gauge the temperature a couple times between batches, get a feel for how fast the temperature is rising and drop in the donuts when I think it’s 360. If I wait for a read of 360, it could be 370 by the time the donuts are sinking and that could mean overdone donuts. Believe me, I know that making donuts the first few times can be frustrating. 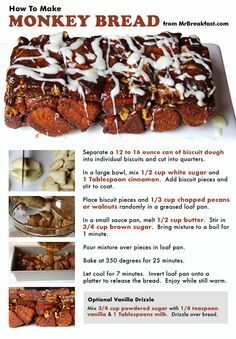 The internet is loaded with incomplete and unworkable recipes. The biggest frustration comes from dough being too soft and bending out of it’s beautiful donut-shape after it’s cut. In the case of cake donuts, don’t worry about having to incorporate more flour. You have one shot at flour-correction and that’s right before you cut the donuts. If you cut them out and can’t transfer them to a baking sheet with your hands, add more flour. I’ll add as much as a quarter cup. Sprinkle it over your outlaid dough. Re-ball the dough and pat it down again. Try cutting out the shapes and see if you have better luck. 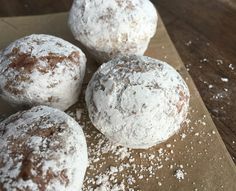 As you get more into donut making, the dough will start to speak to you and you’ll get a sense of whether or not it needs more flour before you roll it out the first time. Keep the uncooked donuts a fair distance away from the fryer or stove top. Having the dough too close to increased heat will cause the dough to soften making transfer into the oil more difficult. For flipping donuts in the hot oil, nothing beats a pair of chop sticks. Just grab a couple of extra ones next time you’re at a Chinese restaurant. In lieu of chop sticks, two dull butter knifes will work but they might get hot whereas trusty disposable chopsticks stay cool. When frying cake donuts, I let the donuts tell me when they should be flipped. After you submerge them, they’ll sink nearly to the bottom of the fryer. After a few seconds, they’ll float. Flip them right away. After 30 seconds, check the undersides. When lightly golden brown, flip again and cook the other side to a light golden brown. If you fry donuts at the right temperature, they absorb a surprisingly small amount of oil. The last thing you want is for them to absorb more oil after they’ve cooked. To prevent that, lift donuts out of the oil using a stainless steel wire strainer. Let the strainer set above the oil for a second so oil drips off. Transfer the donuts to a paper towel lined cooling rack to further remove excess oil. Getting the right consistency for your icing is easy if you take a few precautions. First, add liquid to the powdered sugar in small increments. Icing is funny stuff. One second, you’re stirring a glop of powdered sugar. A drop of liquid later, you have almost perfect icing. I like to stir my icing together in a mixing bowl over a pan of warm water. You know that the consistency is just right the moment you can drip your initials in the bowl with a small spoon. The final consistency is similar to honey. As a rule, always let your donuts cool completely before dipping them in the icing. When it comes to icing, this lesser-known secret ingredients can make a big difference. It’s a combination of dried egg whites and corn starch. You can buy it at specialty food stores and kitchen supply outlets. A small pinch of meringue powder mixed in with your powdered sugar results in an icing that firms up much better than powder sugar on its own. Instead of having icing that looks like pasted on Betty Crocker frosting, you get a glossy fine sheen with a tender crust that dimples when touched with your finger. 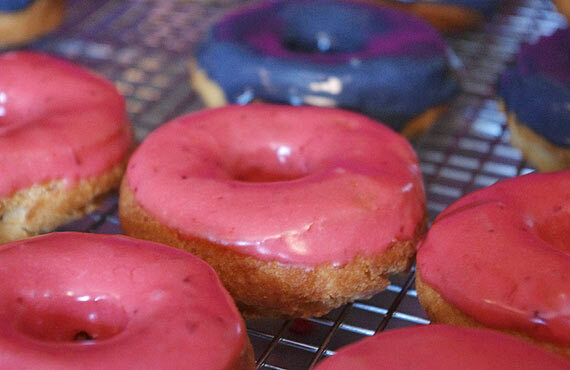 Stayed tuned for more tips and tricks for making donut shop quality donuts at home. Thanks SO MUCH for the tips- this is just what I have been looking for!!!! I will be definitely trying these soon. These are my favorite type of donuts and never found a good recipe until I saw yours. Thanks for doing all the foot-work! You’re very welcome Sarah! Let me know if you make them. Would love to hear how it goes. they look like great doughtnuts. got a little watery being frozen, so I’m draining them)???? Hi Kathleen – They should work. You’re right to drain off the excess liquid. Also, let them get to room temperature and give them a good whisking to make sure there aren’t any lumps. Let me know if you try it. I told my husband, “Finally, I have licked the homemade donut.” These donuts turned out as pretty and tasty and light as any from a bakery. I followed your instructions to a tee. Thanks! I was wondering how long you could store some old fashioned drop dough-nut batter? My husband made zeppole (an Italian potato donut) and I forwarded your tips to him. We don’t use icing, instead we use sugar. 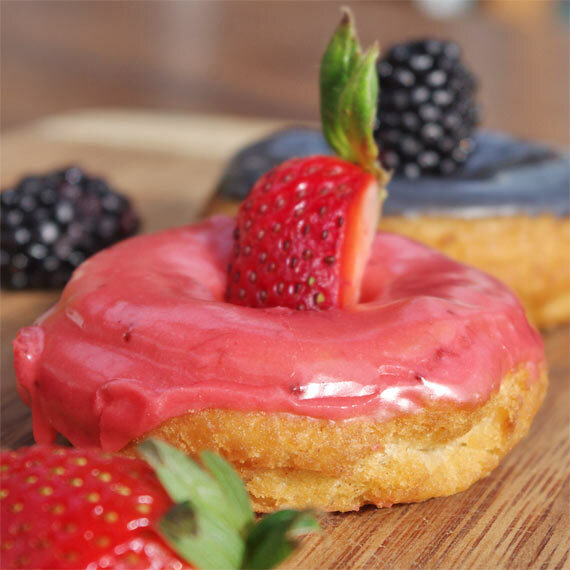 Is there a tip or trick to keeping donuts sugared? The sugar disappears overnight, yet store bought donuts retain their sugar coating for ages. Thanks for posting your tips; I agree that they are what makes the recipes interesting and enjoyable to try out. Can the mixture be too thick ? We are making them through a donut dispencer and the size is inconsistant . Why do you think that woulkd be? The first couple are great then they are small. 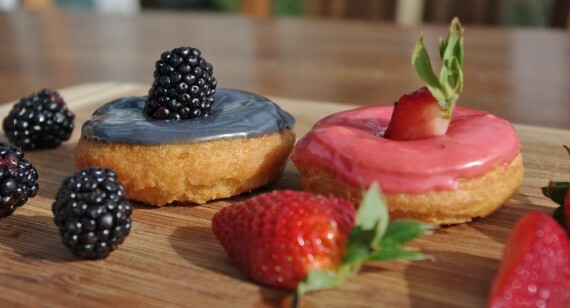 Suggestions for increased moisture in cake donuts? I usually get a dry interior. It could be a matter of over-mixing. You might also try just a couple extra Tablespoons of milk or an extra teaspoon or two of shortening. Let me know if find your fix. Good luck! Thank you so much for these effective donut making tips.The recipe I used is one from a church cookbook. When using your tips, I had dramatic and awesome results. I sifted and added 2 T soy flour and then added 2 T less all purpose flour than called for in the recipe. My recipe used mashed potatoes, but, I thought I would try a 1/2 cup serving of instant potatoes:They worked just as well. 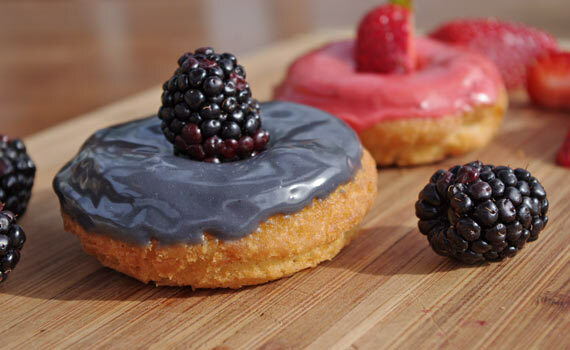 Thanks to you, my donuts are superb in taste, texture, and appearance.I could not be any happier. I’m very happy to hear about your success. And thanks for sharing that instant potatoes tip. That’s something I’d like to experiment with. Thanks for these tips! Any good icing flavor tips? I will try the meringue flour for sure, but I haven’t found a good chocolate or vanilla icing that actually tastes like bakery icing. I feel like I’ve scoured Pinterest and come up empty! Any tips would be appreciated! Awesome. Try searching from the site’s home page for “Berry Delicious Cake Donuts” and “How To Make Donuts In The Microwave”. Those both feature some icings that turned out great for me.